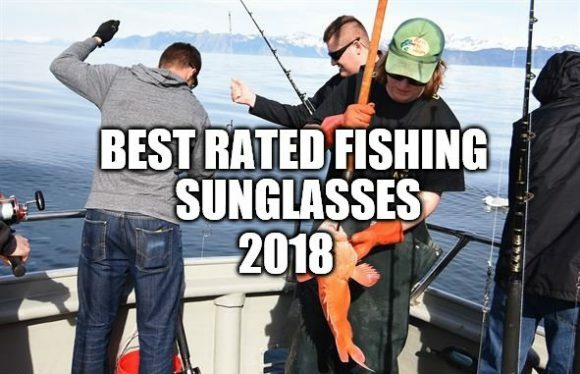 Are you looking for the best rated fishing sunglasses for this year 2019? Do you want to know on what you should consider when buying this eyewear? Well, I suggest that you read this article in order to learn more about them. 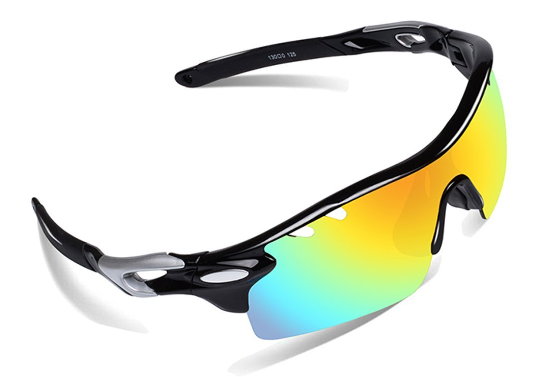 Fishing sunglasses are classified based on the type of fishing it serves as well as the needs of the user. 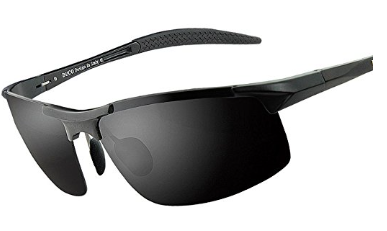 Listed below are the different types of fishing sunglasses. Open waters suggest a place where the fisherman, usually perched on a boat, is surrounded by water. The boat this fisherman uses may or may not have a roof. Nevertheless, the boat is far from the shore. the current of the water could be felt strongly at the middle of the body of water. Usually, the fish found in open or deep water are big and strong. The sunglasses applicable for this activity is a wrap-around and shield type of glasses. Unlike deep water fishing, shallow water fishing stays close to the shore. The water is not that deep and not dangerous. The fish are also not that big and less harmful. Less protection from the sunglasses are expected. A shield or wraparound sunglasses that could have a semi-rimless frame could pass the requirements of this type of fishing. 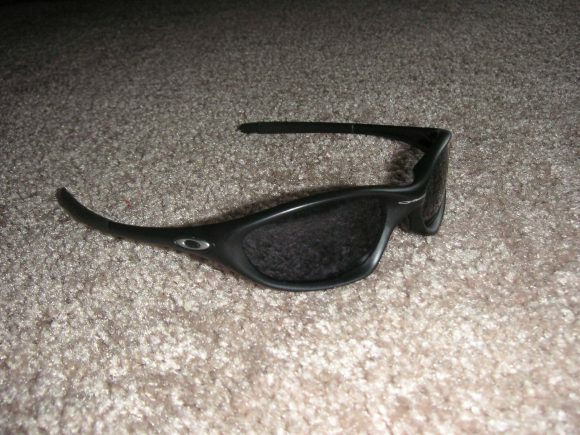 This type of sunglasses answers the requirements for fishing. The only addition for these sunglasses are the prescription or Rx-able property of the lenses. The type of sunglasses to be worn is based on the type of fishing the user would put himself into. 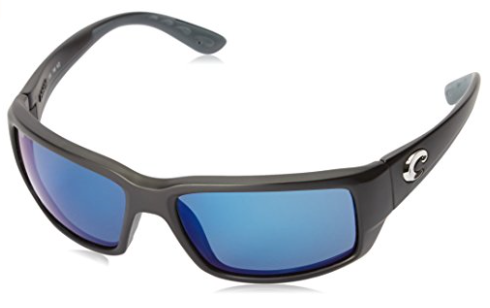 Fishing sunglasses has a main duty to protect the eyes from intense sunlight that could travel in all directions. The sunlight is amplified and reflected off the water’s surface, so it could enter the eyes from above or underneath. In addition, such sunglasses need to filter harmful wavelengths from that ray of light. To do that, the lenses should be tinted or mirrored and polarized. Tinted lenses have dyes or oxides that could be incorporated within the medium or deposited on the surface of the lenses. 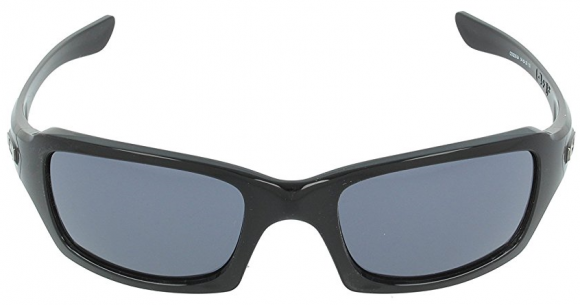 The tinted lens has different functions and purposes for each tint. With the tint, a certain wavelength of light is reflected off the surface, giving rise to the color manifested. On the other hand, mirrored lenses have reflected optical barrier on the surface of the lenses. The mirror coating is deposited all over the lenses, so it reflects most of the light. Compared to the tinted lenses, mirrored lenses allow less light to enter the eyes. Polarized lenses only allow light of certain orientation to pass through the lenses. As fishing is also a physical activity, the fit and comfort of the sunglasses is a major factor to make the whole assembly work. The frame constitutes the major function of providing comfort to the user. A lightweight, flexible, and durable frame is recommended. With this criterion, the best material for the frame is TR90 – a type of polymer that exhibits all the properties mentioned. TR90 is also called a memory shape polymer as it follows the contours of the face of the user. Yet, this material could be a bit expensive for first time users. A durable acrylic could pass for the second-best material. Anyhow, the material for lenses should still be water-resistant. The lenses should have a protective coating from the intense sunlight. It should also have an anti-glare property. For shallow water fishing, the lenses are recommended to have a rose, copper, vermillion, or any tint with a brownish hue. These hues allow better view for images in blue background. Thus, it makes the user to see the fish clearly and gives advantage to the sport. Yet, these hues may enhance the brightness of the image viewed by the user. It is recommended to have polarized lenses to lessen the brightness of the surroundings. Meanwhile, grey lenses are suitable for open water fishing. Grey lenses may perceive natural colors but is also the most effective tint in reducing the amount of light from entering the eyes. Light in open water fishing is most intense. The recommended material for the lenses could be polycarbonate (PC) even though glasses stand for the best transmittance of light. Anyhow, the user does not need a medium that could provide the maximum optical quality. An advantage of this material is its scratch-resistance. Yet, the material could be a bit expensive. A cheap alternative would be acrylic which is still okay though not that impact-resistant but still lightweight. It is important to have the lenses lightweight, so it can float on the water in case the user accidentally drop it off. A hydrophobic coating, known as a water repellant, is a great bonus to have for the lenses. The accessories of fishing sunglasses should protect the package from moisture and intense heat. Minimum accessories should involve a hard case, a soft pouch, and a lint-free cleaning cloth. A polarization card and a toolkit would be a great bonus. The usage of fishing sunglasses would impose better visual health for the user. First and foremost, the user’s eyes could be protected from glare, intense light, and the harmful radiation that comes with it. Such radiation includes ultraviolet (UV) rays which is the primary cause of eye cancer, photokeratitis, blindness, macular degeneration and the like. Matching the lenses and their tints to the type of fishing the user involves himself to poses an advantage for the game. The user would be at their most comfortable condition when using the appropriate lens and type of glasses. 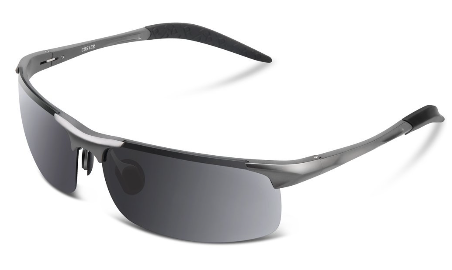 Here are some of the best fishing sunglasses that you can look into. This eyewear is made with durable plastic frames to ensure they can last for a long period of time. Plastic frames are impact resistant and that they can withstand minor pressure such that it is very rare to have them damaged. The frames are designed with an effective wrap-around design to ensure that the eyes are protected on all sides and that no chance of having eyes exposed to bare light. Wrap-around design in sunglasses supplements the looks and therefore ensuring that the glasses look aesthetically good on the users. Other than the plastic frames, the lenses of this specific eyewear is designed and made with a plastic material to enhance durability as well. Since it is mainly used for sports activities, there are high chances of having them fall off the users face and perhaps get damaged. The primary reason of having polarized lenses is the ability to effectively protect the eyes against various harmful lightings. The polarized lenses, in their full mandate to protect the eyes, are made with the capability of not only protecting the eyes against UV rays, but to also protect the eyes against scattered and bounced-back rays. Polarized lenses offers a great deal to all sports people since they are guaranteed of full eyes protection without really caring about a thing. The 8177s material used to make the frame of the Duco men’s sports sunglasses is unbreakable and durable. The frames moreover, are fashionable and stylishly designed to ensure that they retain the fashion look. The frame is equipped with an adjustable nose pad and temple to ensure that it fits on your facial size. In this case, the eyewear is ideal for almost everyone. This nose pad also provides even more grip to ensure good placement. Nevertheless, the nose pads and frames can be gently bent to tailor the fit exactly for user’s comfort. These lenses are polarized to offer 100% UV400 protection. The lenses block 100% harmful UVA and UVB radiation up to 400 nanometers. These lenses moreover eliminates glare and reduces eye fatigue. This is practically ideal for drivers and other outdoor activities enthusiasts. With the 9 layer protection on top of the lenses, the eyes are effectively protected. It protects the eyes against the harmful ultraviolet rays, scattered and reflected lights. To start with, frames made with this Grilamid nylon material portrays awesome flexibility feature. Other than flexibility, due to this awesome material, the frames are made durable and last longer compared to other sunglasses. One of the paramount feature of any eyewear is the weight. Frames therefore, are the ones that mostly carry the majority of weight. In this case, this product is designed with a lightweight frames to make them feel comfortable and do not cause any discomforts on users face. This eyewear is designed with a sporty frame to enhance its attractiveness and good looks. Sunglasses on most occasions get damaged by various undesirable elements. Things like salty waters can be a reason of having undesirable layer coats on your glasses. As a precaution, this product is designed with a corrosion-proof silver alloy that prevents slat water from affecting the eyewear. Well, this is a feature not commonly experienced in most of the sunglasses, however this product is designed with thin lenses encapsulated with all desirable protective features. The glasses are made and designed with thin lenses for amazing looks and comfort. This coating is made to ensure that the lenses are made scratch resistant at all time and few chances of having them damaged are achieved. 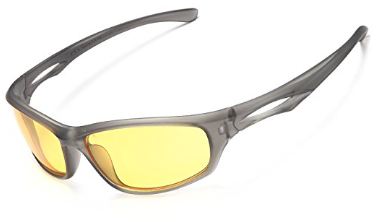 In a nutshell, the lenses are featured with polarization plus 2 technology feature to ensure that they eliminate all reflective, direct and bounce-back glare. These glasses are long lasting and offer a stylish fashion feeling. Moreover, they have an adjustable toggle on cords to ensure that straps will not fall off easily. It is designed with a thin-frame design. Moreover, they have the lightweight polyester sunglasses retainers. The rubber grip provided for this eyewear is great for sports and outdoor activities. Moreover, its strap can be able to be carried on your neck. The Ewin E01 polarized sports sunglasses frames are made with a scratch resistant material. Moreover the frames are unbreakable. They are provided with an inner frame for shortsighted lenses. So it is easy to carry and install. To start with, it comes with 3 interchangeable lenses. These lenses have 100% UV400 protection coating. They block harmful UVA and UVB rays among many others. The Ewin sunglasses also enhances clarity during night and in less clear environment. In this case, they enhance clear vision. It is provided in different material and color. Users are able to choose the color of their choice for the frames. It also have the most important feature of unbreakable frames. The lens on the other hand, is added with another waterproof coating on the main lens. Due to this, it is wearable on rainy weather, and protects the lens against water hence preventing the water from blocking your sight. The frames of the Costa Del Mar Fantail Sunglasses are designed with a light material making them a little lighter compared to others. The frame is made of Co-injected bio-based nylon frame material that is both tough and durable. Unlike other similar sunglasses, this specific eyewear is designed with a suitable material and makes it comfortable during the use. In this case, most users still prefer it as one of the best eyewear ever existed. The lenses of Costa 580G Polycarbonate sunglasses are super polarized. They are provided with a blue mirror which is best for bright environments, full-sun situations on the open water and offshore. These lenses are ideal and offer full eyes protection against reflected and scattered lights. This feature offers clear vision using the sunglasses. The 100% polarization moreover, reduces eye strain. Visual clarity is enhanced using this feature. These sunglasses are made most importantly to protect the eyes against harmful UV rays. In this case, the lenses are made polarized and efficiency increased. In this way, the clarity is enhanced and increased too. More so, the Costa’s 580G Polycarbonate sunglasses eliminate all scattered and reflected lights. The design and material that has been used to make this eyewear also makes sure that the users’ eyes are protected and strain free. Users do not struggle much while having this sunglasses on. The frame is designed with a real durable frame material to ensure that they serve the purpose intended effectively. The frames are made of plastic material making them almost full impact resistant. 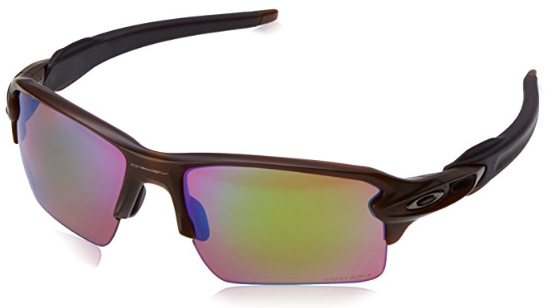 The plastic frames majorly seen in various Oakley products clearly define the full feature of durability. This is because, unlike other products with different frame material, plastic is flexible and rarely gets damaged because of minor impacts. Since the eyewear is designed and made with the best technology, it makes sure that the harmful rays do not reach the eyes. This is one of the very best in the market due to this feature. 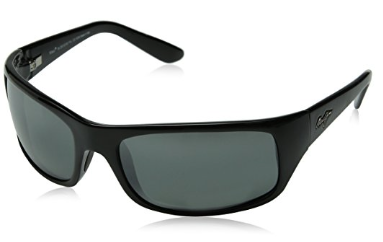 Most of the users are used to either non-polarized or polarized lenses. Contrary in this case, these lenses are designed with a rather different technology that it is not mainly experienced on most of lenses. This technology is the realization and improvising of iridium lenses on this eyewear. Other than this fancy and crucial feature of having the lenses built up using the iridium technology, the lenses are also made with this other important feature of having polarized lenses. Polarized lenses work as shields against glare and harmful light rays. Moreover it helps in offering clear vision, blocking out all harmful UV rays amongst others. The wraparound design sits snugly and comfortably around the face ensures that they stay at all times.The makers of this sunglass ensure that the sunglasses effectively fit the user and eliminates the chances of slipping off and falling down. People prefer durability, so this eyewear is designed with a wide design to prevent breakage even if they fall.The frame on the other hand, comes in different color to give the user the mandate of choosing amongst them. These lenses are capable of withstanding the slight force making them durable and resistance to breakage. The lenses are wide and allow a huge span of area for vision. An added advantage about this eyewear is the fact that it blocks the UVA and UVB rays that might cause eye disorder. Cosver frame is one of the best and durable in the market. These frames are designed with a fine material to prevent destruction and to ensure that they serve customers for a long duration. They are designed with an advanced high-quality material made of aluminum –magnesium alloy. The material’s hardness is several times better compared to the traditional plastic material. The sunglasses moreover, have a considerable frame length. Their capability of being adjusted to a particular size makes them even more pleasing and effective. The eyewear is also provided with soft rubber nose pads that make them ideal to be worn by children too, since the nose pads offer a comfortable feeling while wearing them. 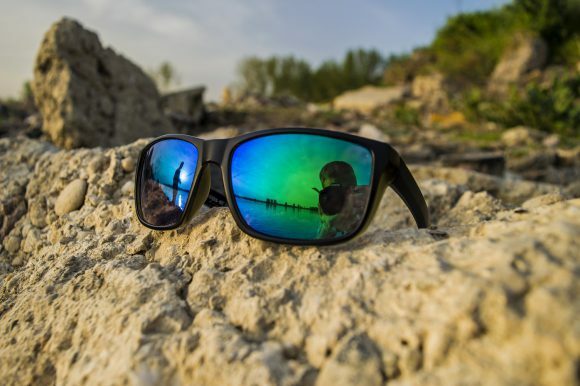 These are just some of the best rated fishing sunglasses that you can use to protect your eyes against the harmful UV rays. For a durable and long lasting glasses, you can try the Costa Del Mar Fantail Sunglasses. If you are on a budget, I personally like the Hodgson polarized sunglasses because it has interchangeable lenses. I also find the Duco sunglasses appealing because of the simple design. Nevertheless, all of this eyewear can give protection to your eyes so it is just a matter of personal preference. I hope that you find this buyer’s guide helpful in terms of providing information about fishing sunglasses. If ever you have more questions or concerns about this types of sunglasses, feel free to comment it below and I would be glad to help you. My husband often goes fishing, and he already has a pair of polarized sunglasses, but they are way too heavy, and at the end of the day, his nose hurts. He owns Costa Del Mar Sunglasses. Unfortunately, he has chosen the glass lens instead of plastic, which is much lighter. So I for his birthday, I want to buy him a new pair of sunglasses. There are several choices in the article. So I would like to know which of them has the higher rating? Do you suggest one pair in particular? Personally, I like the DUCO sunglasses. Aside from being lightweight, it is also affordable. Actually, I am also going to review the costa del mar sunglasses. I will let you know if I already posted it.